Over the last month, we’ve noticed an increased amount of weaponised trojan documents detected by our Custodian360 agent. 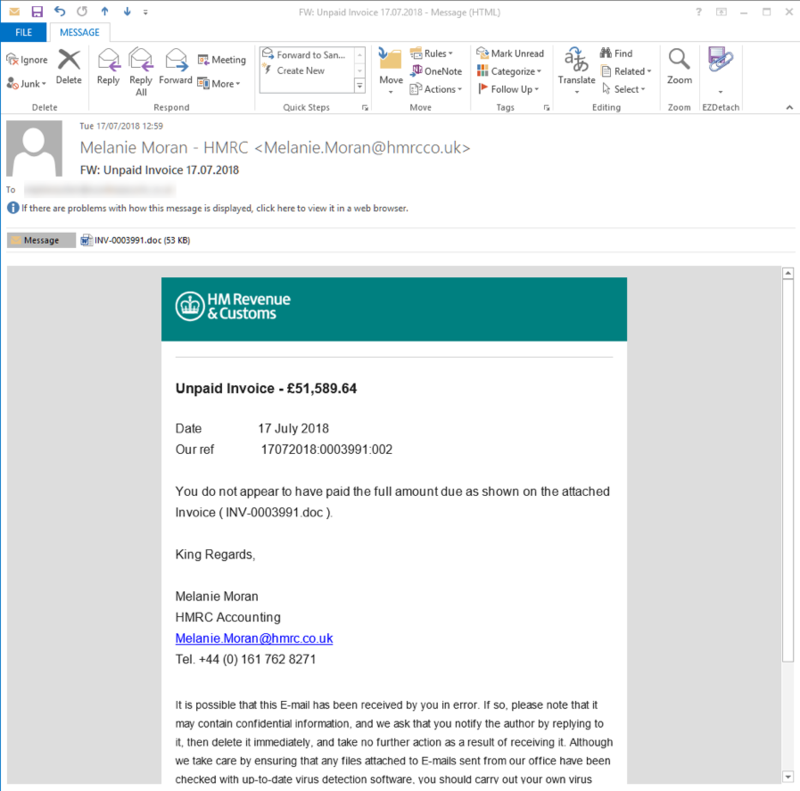 Criminals have setup a large variety of fake email campaigns spoofing email domains to imitate genuine emails typically from financial institutions such as PayPal, HMRC, Sage, Barclays etc. They typically use language which demand the user’s attention such as an “unpaid invoice” or “bill attached” and have a weaponised document attached for the user to open. Once opened, the threat will attempt to use exploits and vulnerabilities in Office to gain ability to create system process and download additional malicious payloads all without the users’ knowledge. Whilst newer versions of Office have additional protections and countermeasures against this type of attach, many businesses still run older versions of Office. In a 2017 survey by Spiceworks, 68% of companies are still running instances of Office 2007 which won’t have sufficient protective measures in place against this type of threat. Custodian360 effectively protects against this type of threat by using documents and scripts analysis engine to prevent their execution including unknown zero-day campaigns. However, end users should still be advised to be vigilant and avoid opening unknown attachments and companies should be encouraged to move away from using older versions of office due to the vulnerabilities and increased security risk which these types of threats attempt to exploit. One of the lessons learned by many businesses over the past three years of the ransomware age is that traditional signature-based anti-virus solutions are lacking the power to combat today’s flood of evasive malware. This is why Custodian360 is excited to offer our Managed Security Services, a client security solution that leverages not only the SentinelOne Endpoint Protection engine but also Lookouts Mobile Threat Protection, powered by static and behavioural artificial intelligence, to deliver next-generation anti-virus (NGAV) capabilities. 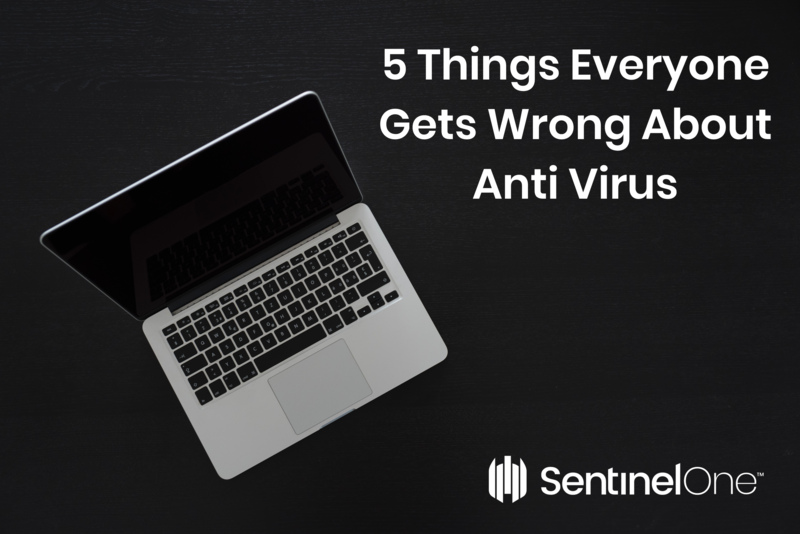 Traditionally, anti-virus solutions (AV’s) have required frequent (daily or weekly) updates of their signature databases to protect against the latest threats. Custodian360 uses a static artificial intelligence (AI) engine to determine if new files are threats before they can execute. In addition, it has a behavioural AI engine to protect against file-less threats (e.g., PowerShell scripts, macros within documents, lateral movement, etc.). These AI engines do not require daily/weekly updates, as they “degrade” very gracefully over time. This is because the behavioural analysis engines do the work instead of matching files to an ever-aging database of file ID’s and signatures. Apart from the management overhead of updating signatures, traditional AV’s also recommend recurring disk scans to make sure threats did not get in. These recurring scans are a big source of frustration for the end users, as their productivity is impacted during the scans. With Custodian360, these recurring scans are not required at all. End-users get much better performance and, in many cases, do not even know that the solution is installed. Another reason for the poor performance of traditional AV’s is that they became bloated by implementing many features, such as endpoint firewall, full-disk encryption, etc. Many of these features are now available on modern operating systems. Custodian360 was designed to orchestrate OS functionality instead of replicating it. This also translates into a much better end-user experience. Another limitation of traditional AV’s is their reliance on cloud connectivity for best protection. Signature databases have grown so large that it is no longer possible to push the entire database down to the device. So, they keep the vast majority of signatures in the cloud, and only push the most prevalent signatures down to the agent. Furthermore, end users frequently work in cafés, airports, hotels and other commercial facilities. In most of these cases, the Wi-Fi provider is supported by ad revenues, and encourage users to download the host’s tools (i.e., adware) to get free connectivity. These tools or the Wi-Fi access point can easily block access to the AV cloud, which poses a huge security risk. Custodian360 is fully autonomous and protects the user in these situations. The efficacy of the agent isn’t impacted by its connection to the internet. I invite you to learn more about Custodian360, which not only provides NGAV capabilities, but also cloud-based reporting and real-time forensics. To learn more, download the “Custodian360 powered by SentinelOne” data sheet. 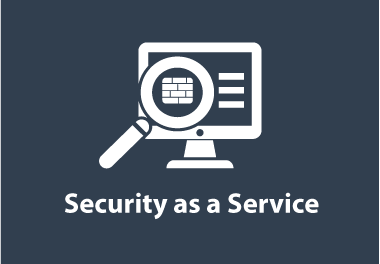 Does Security as a Service Make Sense? We hear a lot these days about everything as a Service and certainly, some of it makes sense. With services such Amazon Web Services and Microsoft’s Azure platform available it’s so cheap and easy to create a server that provides Public Applications, why would you bother hosting them in-house yourself? But what about Security, surely this is something you need or want to have control of and there’s no real model for buying this as a Service is there? That all depends on who you are of course, if we look the largest companies that span the globe they deliver many different types of services to their users, but they tend to provide it as a Service to them. If the business as a whole invests in setting up a Security Operations Centre (SOC), employing staff to run it and purchasing software and tools for them to use, then they don’t just swallow this cost. Different business units are often charged for using these services making them “as a Service”. It’s a good business model to recoup the millions of pounds that you’ve just spent on building the service and the SOC. The big difference here though is that these business units don’t get a choice about how they buy these services, they are mandated and added automatically to their budgets. Not really a fair market for them but you start to see how they consume everything as a service. Once we move down the ladder a little and get to the mid-size businesses it starts to get a little more interesting. There’s not quite so much money available here, go to the MD or CEO and ask for £1,000,000 to build a SOC and there’s a predictable answer. Why would you go to the effort of building all of this when big providers have already done it? 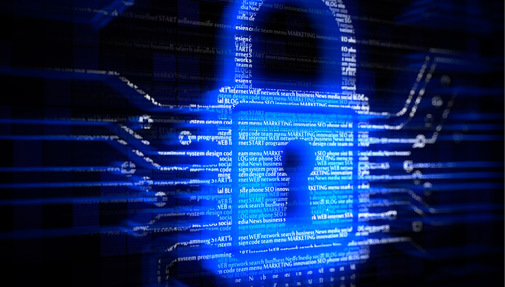 Why not use your OpEx budget to buy Security as a Service? For some there are problems with compliance, data not being able to leave region or territory can make it difficult to find a provider who can accommodate all of your needs; if you’re big enough, you can generally find a provider who will put some effort into winning your business and investing in their infrastructure in order to accommodate you. So, the big guys have it easy. If they want this, then they can get it but that also means that everything we have seen so far is all about providing Security as a Service for those that can pay a premium for it. We are now left with those businesses with say, less than 350 employees, this includes everyone from sole traders up to that though. What should they do? Well that clearly varies with size so let’s pick a sweet spot and focus on a business with 150 employees. It’s a good size business, revenue is likely to be in the high millions at this point and you’d hope that net profit is good too as this is the bit we are going to start eating into when we look at new services. I hear your groans, asking for money that comes out of profit at this size company is never easy and we’ve all been there before. Something has to give before you get increased budget so let’s have a think at what we are going to need. Top of the list is a product or set of products to tell us when something bad is happening. At 150 licenses nobody is going to do us a good deal so let’s say we need 3 products to deploy to give us the ability to detect threats and breaches. Let’s now pick an average price for a product and settle on £75.00 per seat per year, that quickly becomes £225.00 per seat per year because we have 3 products remember. We also have 150 users so now we’re up to £45,000.00 just for the products and we aren’t being extravagant here. Next, we need Security Analysts, not only are they not cheap but they are getting harder and harder to find. Again, let’s make some assumptions, a good Analyst is going to command a £50,000.00 salary, don’t forget NI to go with that and we are now at £56,900.00 and it’s fair to say we should add a bit more for all those costs of employing that nobody knows about until they employ staff, so we’ll call it a £60,000.00 salary. How many do we need though? At a very minimum it has to be 2 and this is the absolute minimum and won’t give us coverage or response outside of our normal working hours. If we want 24×7 we need to look at 6 Analysts but we’re trying to do this on cheap aren’t we and this means we stick with 2. So, we are at £120,000.00 for our Analysts, plus the products brings us to £165,000.00 per year and that’s a number that is going to keep rising, we also have to retain staff and with the cyber security recruitment market the way it is currently that’s never going to be easy. It’s also not going to be that cheap either, there’s so much we haven’t included in our budget, training, monitoring software and associated consultancy etc. etc. We are also now committed to products, if they aren’t as good as we were led to believe then we are stuck with them, no chance of more budget so we now have increased costs associated with responding to threats and alerts. Our staff may now start to get a bit annoyed and look to see if the grass is greener elsewhere. You start to see the bigger picture here, securing yourself against the ever-changing threat landscape is becoming harder and harder to do, it’s taking more and more tools and the talent pool we can choose from to “drive” our tools is effectively becoming smaller. Providing effective Cyber Security in-house is fast becoming a unicorn. The time has come not only for solutions providers to provide Security as a Service at a price that businesses can afford and not only that, it is time for them to become flexible. Rather than getting fat off the growing demand why don’t we all work towards a common goal, build services that are easy to consume and drive good Customer Service by making it easy for people to change provider. Bad business model I hear you shout. You’d be right too but isn’t it more important to carry out your business with integrity and give customers the choice. 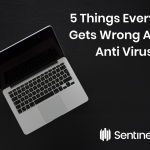 This thinking drove AVR International to partner with SentinelOne to launch Custodian360 last year to deliver a Managed Endpoint Protection platform to the masses. Custodian360 is aimed at the SMB market and businesses using this service no longer need to employ security analysts to manage systems and respond to alerts as our SOC team proactively monitor, analyse and respond to every alert we receive. If ever there was a flagship incident to demonstrate the power of ransomware, this is it. Ransomware, a particularly infamous form of cybercrime where business critical data is restricted until payment is made, has been in the headlines for all the wrong reasons. This story is a little different. 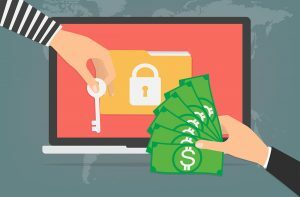 While ransomware can attack businesses both large and small, many criminals utilising the numerous viruses available target low hanging fruit: small business. It’s a simple numbers game, with many small companies having little to no cybersecurity in place. This tendency makes a volume approach attractive to cybercriminals. A million dollars is, of course, slightly different from this approach. 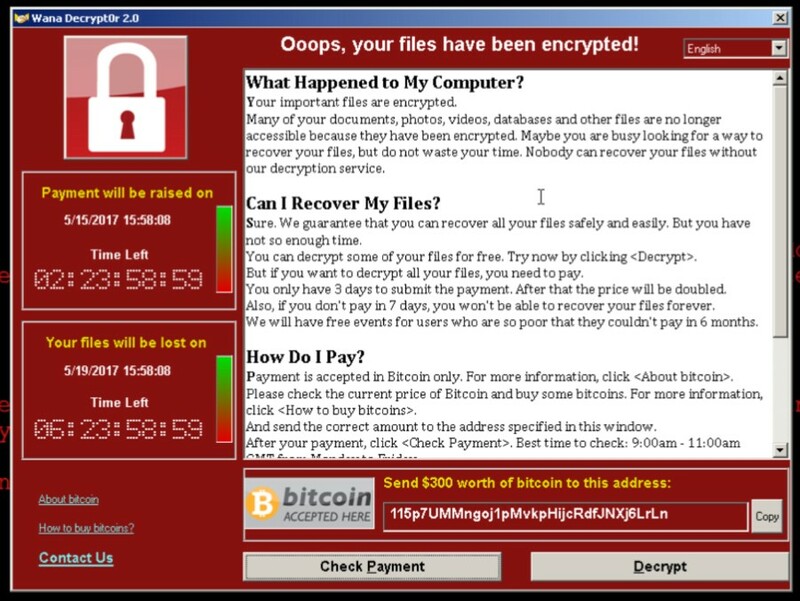 High profile attacks aren’t exactly uncommon, with the recent strike on the UK’s healthcare system with ransomware virus WannaCry drawing international attention. Nayana, an established web hosting provider that located within the South Korea, was the victim of the attack. Believed to have occurred on June 10, weaknesses in the overall cybersecurity arrangements of the company made them a prime target for exploitation. As is usually the case, the ransomware itself came in the form of a premade virus named Erebus. Able to target over four hundred file types, the sophisticated code easily penetrated the company’s assets. The attack spread through 153 Linux servers owned by the web hosting company, leaving owner Chil-Hong facing an absolute disruption to provision of service. As is often the case, negotiations occurred. The criminals initially demanded a staggering 550 bitcoin payment; well in excess of the $1 Million dollars that Chil-Hong bargained the criminals down to. With the CEO already having liquidated assets, two instalments of the total are claimed to have been made. Hoping to conclude the ‘deal’ as quickly as possible to restore his customers data, Chil-Hong quoted on Twitter that the ‘probability of recovering all the data will be higher’ once the last instalments are made. This notion, while understandable, sets a dangerous precedent. As you might imagine, criminals don’t exactly obey the law, nor will they reliably honour a personal agreement. 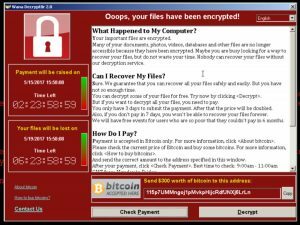 Many victims of ransomware attacks who have paid up find themselves subject to further demands. While it is common for modern ransomware to incorporate a payment system, there is no guarantee that any form of response will be even received should a payment be made. Fortunately, it is not an exhaustive or costly process to protect your business assets from being exploited by cybercriminals. Ransomware works by restricting access to vital information and data that cannot be found elsewhere; this makes safeguarding simple. Backups of all business-critical assets is a simple first step. This ensures that should you be targeted in an attack, you will be able to restore your documents to working order separate from the attack itself. With the need for payment removed, recovery can subsequently take place. Employee awareness is also a practical measure. Many data leaks and cybersecurity issues, including susceptibility to ransomware, can be avoided by cascading information on security processes and information on attacks. With many attacks being caused by internal sources, mandating a greater level of awareness of the threats posed by ransomware and other cyberattacks can provide remarkable results. Investment in professional support and software, however, remains a powerful measure in the fight against ransomware and cybercrime. Although the above measures can ensure an acceptable level of overall security, many businesses cannot afford to be remotely susceptible to an attack. Just as modern ransomware has evolved and become more sophisticated, so has software that protects against it. 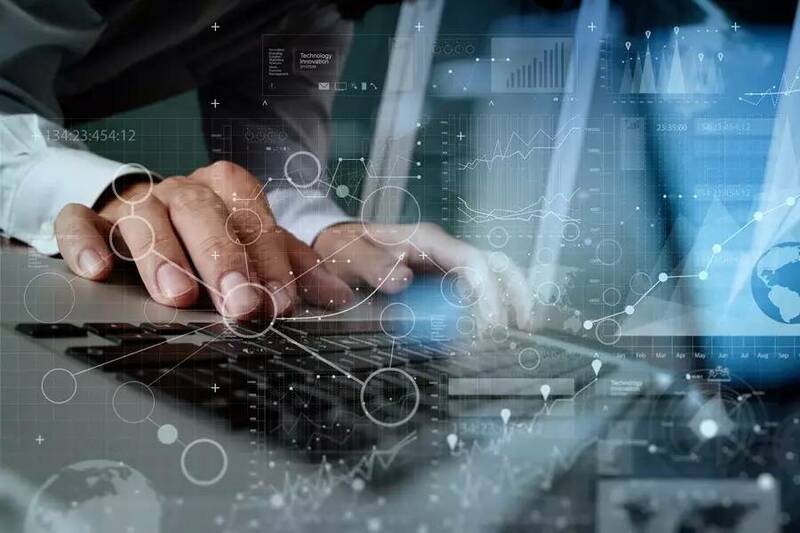 A combination of investment in this software, combined with professional consultancy services such as a data and security audit, can ensure a level of protection that removes your business as a viable target in the digital world. 6th June 2017 – Twyford, UK – Independent Information Security and Mobility Solutions Provider AVR International will be exhibiting its new Managed Endpoint Security Platform Custodian360 at InfoSecurity Europe 2017, the region’s leading information security event which takes place at Olympia, London from 6th to 8th June 2017. 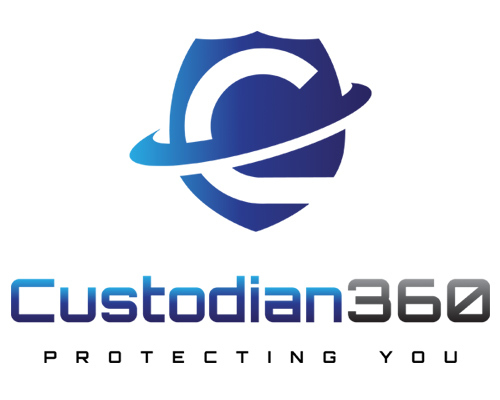 Launched in January 2017, Custodian360 (www.custodian360.com) is a Complete Managed Endpoint Protection Service and is proud to still be the UK’s only Managed Service Provider for SentinelOne. Custodian360 was built with SME business in mind. Cost has traditionally been a barrier; denying many access to the Enterprise Grade Security Products we all need when facing up to the current threat landscape. Custodian360 packages a fully managed service around the SentinelOne product, backed by industry veterans and makes this service available to businesses of all sizes. The service is led by Andy James (Director), bringing a wealth of Cyber Security knowledge and experience backed by a history of providing global, managed service solutions. With Partner Management and Operations Support provided by Kevin Baker (Partner Manager) and Chris Knight (Support Manager) respectively coupled with forensic analysis and remediation performed by a team of analysts, you can rest assured that your EndPoints are in safe hands. Andy is “hugely excited to be bringing Custodian360 to InfoSecurity Europe this year” and “is proud to be able to offer this ground breaking service to protect small businesses at a crucial time ensuring that everybody can now be protected from the myriad of threats we face daily”. With many businesses unable to maintain the resource necessary to constantly monitor and track threat intelligence, Custodian360 takes away this problem and our analysts become part of your team. Our swift response and reporting feeds threat information back into your organisation, allowing you to track incidents and responses without having to employ expensive full time resources. A service of this type is only made possible because of the near 100% detection rates provided by SentinelOne. With its advanced Deep File Inspection to detect threats before execution, and its behavioural analysis engine detecting all threats whether they are file-based, file-less, browser exploits or good old fashioned exploits Custodian provides a full Endpoint Protection and Remediation Platform that allows businesses to concentrate on running their business while Custodian360 deals with the threats. With 2016 recording a record number of over 400,000 ransomware attacks, the demands on businesses to protect themselves from cyber-attacks and data breaches have increased exponentially. 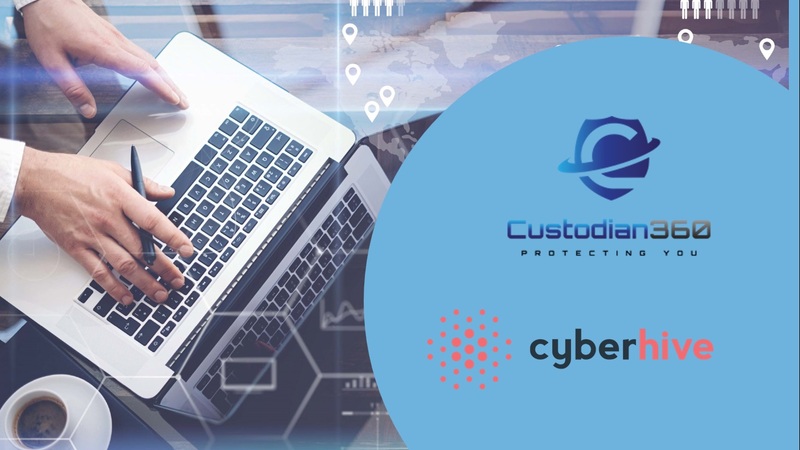 Custodian360 detects, protects and repairs instantly and with full Ransomware detection, prevention and roll back capability, encrypted files no longer means having to pay a ransom or restore from backup. Custodian360 will be exhibiting at Stand No. L09 at InfoSec, presenting the Managed Service solution and demonstrating its wide range of features and capabilities live and with real malware. Stop by and say hello to the team and visitors will be invited to enter a prize draw to win an iPad Pro tablet. AVR International Ltd is an independent provider of IT security and enterprise mobility solutions. Founded in 2002 by Helen Hall to provide an agnostic approach to Anti-Virus products and their sale, the business has gone from strength to strength and applied this founding agnostic approach across all solutions offered. Helen has recently taken a new role within AVR International, having been a hugely successful Managing Director, she is now AVR’s Chairman, perfectly positioned to hold a strategic view and support the Management Team as they go on to develop the business further. With Nick Kellaway taking the reins as Managing Director, it’s an exciting time as we work hard to build and provide solutions and services to our rapidly growing customer base. AVR’s team of solution and technical specialists and strong vendor partner relationships enable it to provide individually tailored solutions for businesses and organisations. With more and more solutions being added to the portfolio, AVR is well placed to advise businesses of all sizes where they should focus their attentions to achieve effective security and mobility strategies. AVR offers expert Threat Protection services coupled with a broad range of protection against cyber-attack and data breach in addition to Data Compliance solutions. In January 2017, AVR introduced Custodian360, a complete managed endpoint security platform specifically targeted to small and medium sized businesses.